Foundations are the most important part of a structural system that provides essential support to the building that is eventually constructed on top of it. 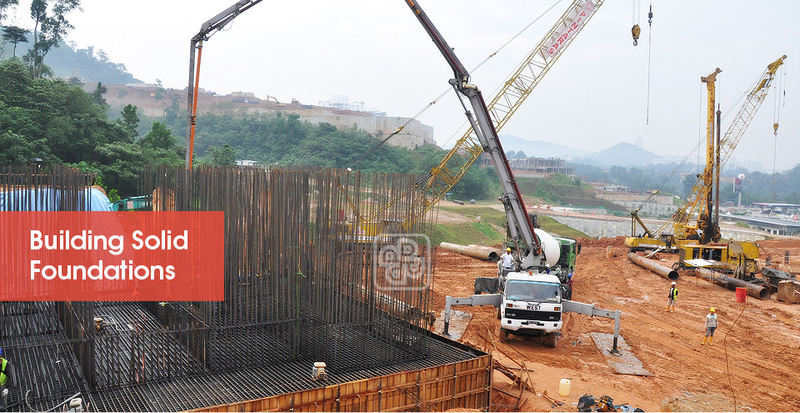 We specialise in deep foundation techniques (mainly piling) that support high-rise and heavy-load structures. Most of our work takes place under soil and is often not visible in the public eye by the time the whole building is completed, however we strongly believe that each project we have successfully completed speaks for itself.